Accomplished line editor – historical fiction, sustainability, memoir, women, the arts, academic & more – in Eugene, Oregon. Thank you for visiting my profile! Clients generally book my services several months in advance; at present, I'm available for new projects beginning May 1. 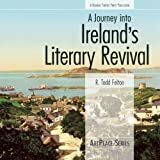 If you'd like to begin sooner, I can recommend copy/line editors Carrie Wicks and Janice Lee, and substantive/developmental editor Michelle Hope Anderson, all here on Reedsy. 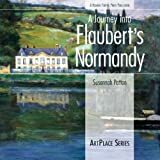 I'm a line editor, copyeditor, and proofreader specializing in historical fiction, sustainability and environmental issues, literary nonfiction, memoir/biography, women's stories, travel, the arts, Northwest history, and Regency romance. My Portfolio presents 150 of the 200+ books I've had the pleasure of editing during my 25-year career. 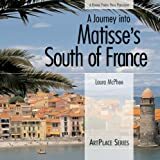 I enjoy working with writers from different countries and levels of English, and have successfully worked with clients in India, Vietnam, Germany, and England as well as across the United States. I can edit using either US or UK English. Below are the specific services I can provide. * Creating a style sheet customized for your project, documenting unique spellings, capitalizations, hyphenations, etc. I'm currently located in Eugene, Oregon, and serve clients throughout the state, country, and world. I look forward to hearing from you and learning more about your project. Offer advice on curriculum development and content, suggest new board members, be a liaison between instructors and board members, and provide a sounding board for program staff. The Northwest Editors Guild (edsguild.org) connects editors with clients, fosters community, and provides resources for career development. It hosts bimonthly meetings with speakers in the Seattle area, convenes smaller coffee hours throughout Washington and Oregon, curates a job board, offers occasional workshops and retreats, and presents the biennial Red Pencil conference in the Seattle area, attended by 250 editors from across the country. I founded the Guild in 1997 to build community among local editors. Now a 501(c)3 nonprofit, the Guild has a part-time administrator, but all other roles are filled by volunteers, including the 12-member board of directors, the mentorship program coordinator, and the social media coordinator. I continue to nurture community among editors wherever I'm living (Eugene, Oregon, at present) by co-hosting a monthly lunch hour open to all professional editors. To learn more about the Guild, visit the website (edsguild.org) or follow the Guild on Facebook. Proofread all transcripts for Morning Edition, All Things Considered, and Weekend Edition. Best non-freelance job ever! Edited and proofread quarterly magazine and bimonthly newsletter for national organization promoting nuclear arms control. Chronicles Obama's improbable journey from Springfield, Illinois to the White House, featuring newspaper front pages from across America and around the world. Also includes verbatim text of five historic speeches from the campaign, victory rally, and inauguration. The art of John Singer Sargent is sensual in its evocation of textures, atmosphere, body gestures and light. Trevor Fairbrother argues that viewing the artist as a sensualist connects otherwise conflicting elements of his oeuvre and offers a new interpretation of his life and work. This superbly edited volume addresses the question of what has been accomplished and what lessons have been learned from ten years of peace operations in post-conflict societies. An uproarious and often poignant memoir set in the woods of northern Michigan at the most famous and beloved summer arts camp in the world: Interlochen. 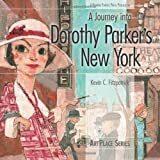 A small-press book originally released in August 2006, Pine Nuts appeals to a wide audience that includes both teens and adults: Interlochen alumni, former staff and faculty, and anyone else interested in the arts or arts education. Over 50 fabulous Recipes celebrating wood plank grilling from appetizers to desserts. With recipes and creative suggestions for wood grilling, you'll enjoy delightful new dishes inspired by ethnic cuisines that go beyond seafood, meat and poultry. You'll also appreciate the easy-to-follow guidelines, cook's tips, and techniques for preparing savory smoked foods on your gas or charcoal grill. A gift-quality book about the history of the current Starbucks headquarters, the largest building in Seattle, which started life as a Sears catalog plant. It contains many pictures of historical as well as current interest. It comes in a handsome black cardboard sleeve. 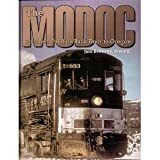 The history of the opening of Stevens Pass through the northern Cascades into the Seattle region is a saga of nearly superhuman feats by railroad construction crews, ghastly design mistakes, natural catastrophes, and the determination of railroad owners to connect isolated communities. Photos and text interviews, anecdotes, and narrative document the 25-year history of the Seattle ballet company now considered one of America's best. Annotation c. by Book News, Inc., Portland, Or. Introducing visitors to the diverse lands and rich cultural traditions of Native Alaskans, this guide leads travelers to villages, festivals, museums, tours, historic sites, art collections, and dance performances of Native Alaskans, and profiles artists-at-work. Here is the first social history of the weather in this notoriouslywet region--not just how damp it is, but what all of this extravagantweather does to the souls who have endured, cursed, and worshiped it. This handy pocket-size cookbook will satisfy any chocolate lover’s cravings and makes a great little gift. Indulge in Devil’s Food Cupcakes, Double Chocolate Macaroons, Truffle Squares, and many other totally chocolate recipes. These decadent treats are sure to bring out the chocoholic in everyone. Pancakes and waffles are a breakfast staple, but after a while they can fall a little flat. From Cappuccino Cakes to Cottage Cheese Cuties, this versatile little pocket-size cookbook contains dozens of options for these comfort food classics that the whole family will love! 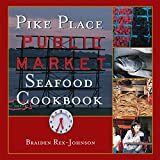 With recipes for classics like crab cakes and cioppino alongside new favorites like Crab Ceviche and Crab Quesadillas with Mango Salsa, this handy pocket-size cookbook has recipes to delight seafood-lovers everywhere. From the Trade Paperback edition. 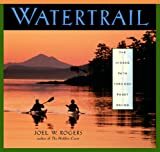 Following the Cascadia Marine Trail--the first nationally designated saltwater trail, stretching from south Puget Sound to Canada--Rogers sets off on a 360-mile paddle to investigate how nature and habitat coexist with industrial growth, how Puget Sound has changed in the last 50 years, and how he will survive one month in his kayak. 80 color photos. 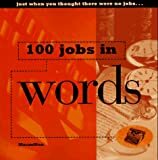 Whether you are teaching homonyms, figures of speech, or idioms, this book will offer humours background information and sets of word games for all. When twelve writers from Washington and Oregon were asked to write about their relationship to the place they call home, the responses were as diverse and rich as the region itself. 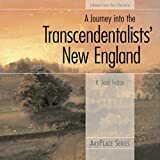 Gathered here are original works from essayists, poets and novelists who are both natives and newcomers to the northwest edge of America. Over Our Heads: A Local Look at Global Climate presents the latest findings on climate change-the causes, the impacts, the solutions-in easy-to-understand terms. Read it and learn what you can do to defend our climate. Best Places Northern California: The Locals' Guide to the Best Restaurants, Lodging, Sights, Shopping, and More! 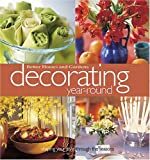 More than 1,000 ideas will keep crafters busy year-round.Full-size patterns make any project easy to complete.Detailed instructions guide crafters from start to finish. 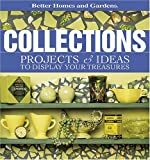 One-of-a-kind book shows how to display, decorate, and craft with collections.Highlights display ideas and collections from people across the U.S.Projects are divided into chapters by level of skill required—Ideas for Arranging, Adding a Crafter’s Touch, New Techniques to Try.Collections from A to Z—heirlooms, stamps, pewter, toys, handkerchiefs, and more. Alaska remains one location that is singularly arresting to the American imagination. Twenty exceptional writers share their stories of work, play, and life in what is often called the Last Frontier. 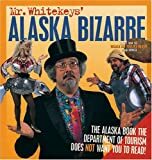 Armchair travelers everywhere will find delight in this anthology of exuberant original essays that reveals Alaska as a place, an adventure, and a state of mind. Fitzgerald's powerful photos and Hasselstrom's inspiring text present this awesome beast in its ancient and contemporary grandeur. Seattle artist Dante Marioni creates glass in a classic tradition inspired by the art of ancient and Renaissance Italy, yet his graceful vessels carry the art forward with their fresh forms and vibrant colour combinations. This classic book of essays by Kim Stafford-praised as "the calm deliberations of a gracious intelligence" by Barry Lopez-is now available from Sasquatch Books. You're a concerned individual. You've seen many of the challenges being faced by our ecosystem: global warming; contaminated rivers, lakes, and streams; overuse of pesticides; diminishing natural resources. You've decided to go to work to help the environment. But what can you do, and where do you begin? 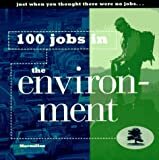 "100 Jobs in the Environment" helps you find some of the answers. This stunning narrative written by a teacher of the Yup'ik Eskimo village of Tununak ""is a memoir worth reading, "" reports the ""Anchorage Daily News."" Targeting the West's urban hotspots, City Guides reveal the top 200 restaurants and feature a pull-out color map along with indepth information on shopping, exploring, and day trips. From the legendary to the obscure, San Francisco, You're History! 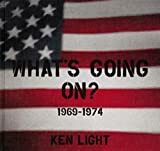 is filled with the interesting tales behind San Francisco's affairs, episodes, incidents, tragedies, and triumphs from the 1840s to the 1960s. The original insider's guide-now in print for fifteen years with over 150,000 copies sold-this new, seventh edition of Seattle Best Places takes a fresh look at the city that has everybody talking. Roskelley recounts his climbing career from 1965 through 1992 including his 20 Himalayan expeditions. Annotation copyright Book News, Inc. Portland, Or. First published more than a century ago, this journal of a woman's life and travels in post-Civil War California and the Northwest is one of the first female accounts of the region. 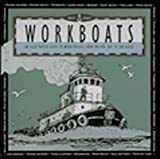 For the armchair sailor or the seagoing captain, this handy identification guide answers questions about the procession of workboats we see every day in the harbors and inland waters along the Pacific Coast. From traffic shortcuts to library hours, crime statisticsto top executive salaries, parks to schools, this fully updated,revised and expanded edition of Seattle's most comprehensive guidehelps you cut your way through red tape and make the city work foryou. The Dust of Everday Life is an epic poem of pioneer life in the Oregon and Washington Territories from critically acclaimed author Jana Harris. This groundbreaking creative work is the insightful and intimate account of two families and an unflinching, humanized portrait of Northwest history. The lowfalutin' look at the biggest, wildest state in the Union, from the originator of the Fly By Night Club's zany musicomedy show. An experienced developmental editor specializing in physics and astronomy, but comfortable with chemistry, Earth sciences, and biology too. 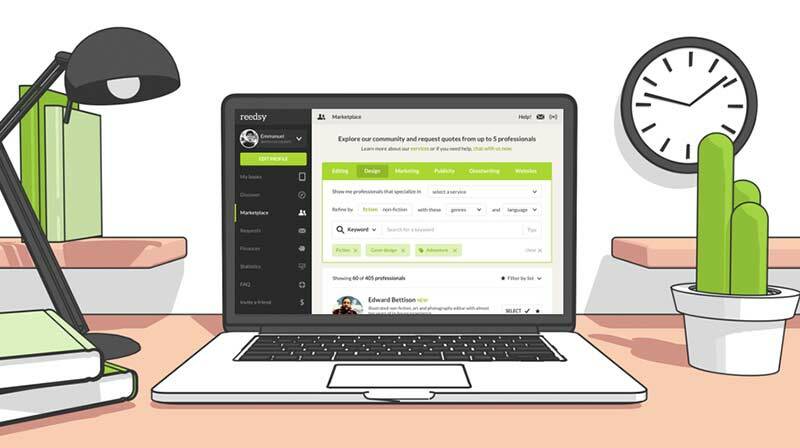 Join Reedsy to request a free quote from Sherri and over 1,000 similar profiles.